Two Chicks On Books: Blog Tour- A WICKED THING by Rhiannon Thomas and a Giveaway! 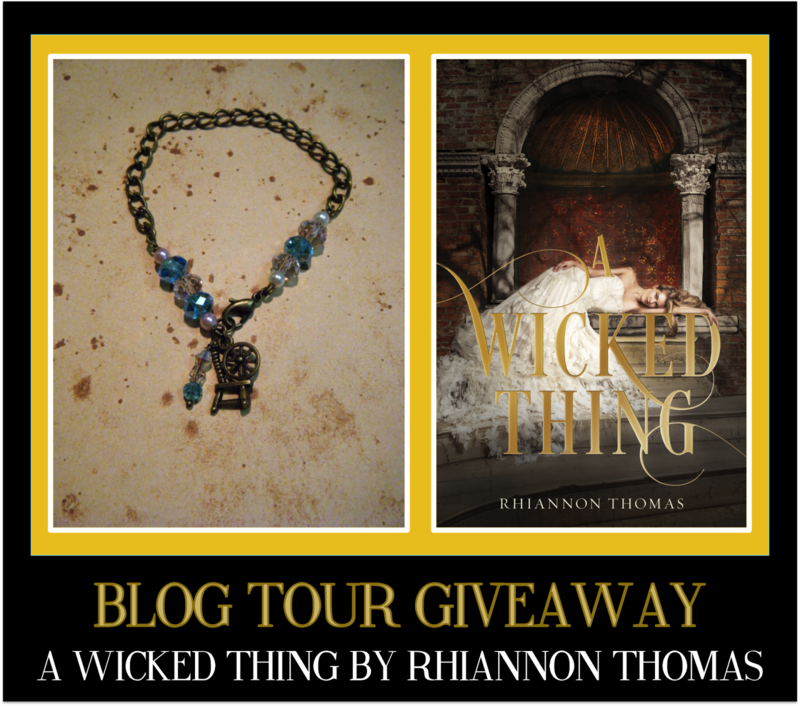 Blog Tour- A WICKED THING by Rhiannon Thomas and a Giveaway! Hey y'all! I'm super excited to take part in the blog tour for A WICKED THING by Rhiannon Thomas! This was a pretty cool Sleeping Beauty retelling and I can't wait for the sequel! I have an interview for you today. So check it out and make sure to stick around for the giveaway! Haven't heard of A WICKED THING? Check it out! Hi Rhiannon! First I want to say welcome to Two Chicks on Books! A WICKED THING was awesome and I’m so happy that you could stop by for a visit! For the readers: can you tell us a little bit about A WICKED THING and the characters? A Wicked Thing is an after-the-end retelling of Sleeping Beauty, starting at the moment when the kiss wakes her up. Aurora is my Sleeping Beauty – a girl who has spent her entire life locked in a tower in an attempt to stop the curse placed on her as a baby. As a result, she’s pretty sheltered and naïve, and has some rather idealistic views of how things should be. But those ideals get challenged pretty quickly when she’s faced with her new world post-curse. I also have a couple of princes: the awkward, shy Prince Rodric, who Aurora is supposed to marry, and the overconfident Prince Finnegan, who seems determined to use Aurora for his own schemes. Is there going to be a sequel? And if not what are you currently working on? There is a sequel, coming early 2016. I actually just finished putting the finishing touches on it. I’ve now started working on my next next book, which is a YA fantasy called Long May She Reign, about a shy girl scientist who becomes queen when the entire court is assassinated. I’ve never actually thought about this before. I probably stole things from people I know without realizing it. Aurora was based somewhat on me and some of my close friends – I wrote A Wicked Thing in my first year post-university, when I and everyone I knew were having serious “what do we do with our lives? ?” crises. So I think a lot of Aurora’s uncertainty and feelings of being overwhelmed come from that. I wish I could say “oh, the hot male characters are based on guys I know,” but nope. Sorry. I think my favorite character to write was Queen Iris, because it was really fun to take an initially unlikeable character and find the motivation and the humanity in her. I would fight to the death anyone who said she was “evil” now. My least favorite character to write… I’m not sure, but I think the HARDEST character to write was Celestine, the witch. I struggled a lot to find her voice. In the end, I figured it out by mentally casting Natalie Dormer in the part. Once I had her in my head, everything fell into place. What is your favorite passage/scene in A WICKED THING? I have two! One is quite early on, when Aurora is sitting on a roof and looking over the new city with a boy she’s just met, Tristan. The other is much later and much more spoilery, but involves Aurora sitting in a garden with a storybook and a prince. A lot of random history stuff, mostly. A Wicked Thing is set in a fantasy world, but I wanted the details to feel authentic, so there was a lot of “when were clocks invented? When were mirrors invented? What card games did people play in the late 1700s?” type googling. But I deliberately didn’t research Sleeping Beauty stories, beyond what I already knew. I wanted the princess and the setting to feel as familiar as possible – the elements that people think of when they think “Sleeping Beauty,” the princess you imagine when you think of Aurora – because I really wanted to play inside that familiar framework. Right now I’m reading The Name of the Wind by Patrick Rothfuss – it’s one of those books that’s been recommended to me endlessly for years, but always seemed too long to pick up. Now I’ve started it, I’m seeing that everyone was right. The writing is fantastic! My most anticipated TBR book is Mechanica by Betsy Cornwell, because I loved her first novel, Tides, and I’m a sucker for feminist fairy tale retellings. Omg, evil question! Just one? I’m kiiiind of in love with Nikolai from The Grisha Trilogy right now, and I love Will from The Infernal Devices. And then there’s half the guys from Harry Potter. Ron was my ultimate book boyfriend when I was a teenager, and now I reeeally love Neville and Sirius. I really love the overall feel of the genre – that central theme of self-discovery, characters figuring out who they are and who they want to be. Thor. I love his Labrador-puppy feel. Too many! Probably The 100 right now. Mockingjay Part 2! Or the new Star Wars. Great giveaway! Too bad I am overseas. :( That book is on my TBR for sure. I can't wait to read that one. I love the book cover. 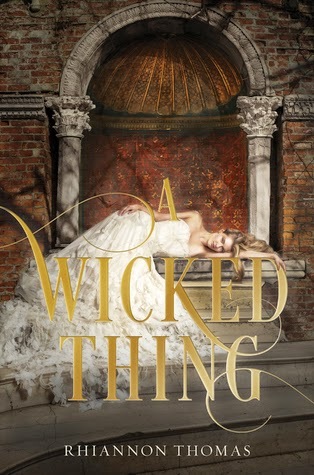 I'm curious about the title Wicked Thing. Trying to see how the title is related to the story. I'm curious enough to read the book.